I mentioned a few weeks ago that Armaan and I are headed to Park City, Utah for our one year engagement anniversary! We are so excited to take in the gorgeous scenery, do some skiing and really just relax for a few days. We are staying in Deer Valley and made sure we booked our trip late enough in December so we have the chance to experience some serious snow! 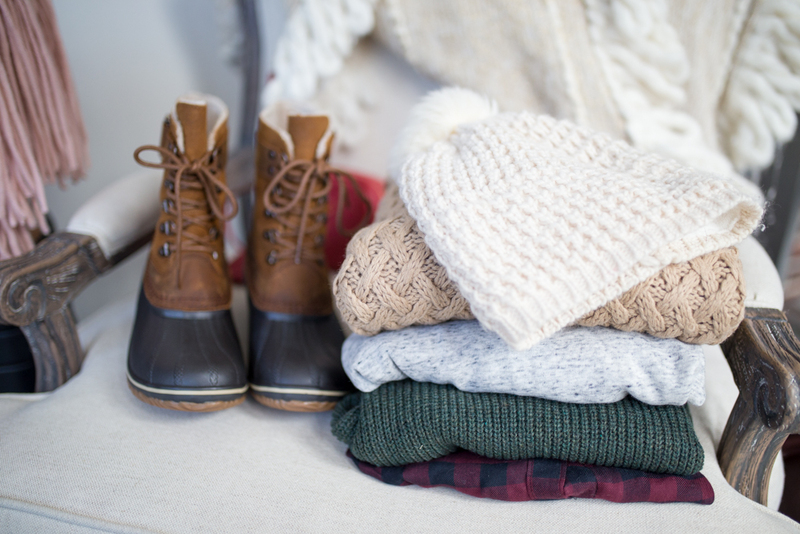 Because next week is crazy for us, I decided to do some packing early and wanted to share some of my winter-wear essentials with you all. 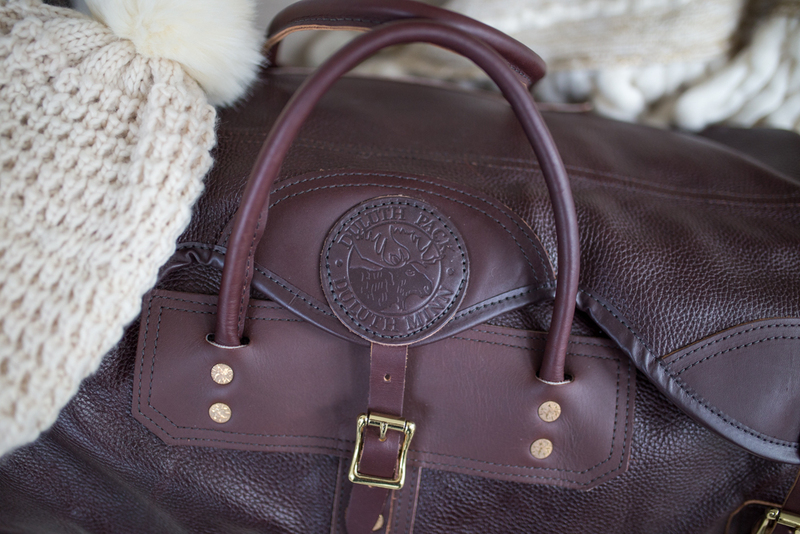 Firstly, I have to just give a minute to this Duluth Pack duffel. 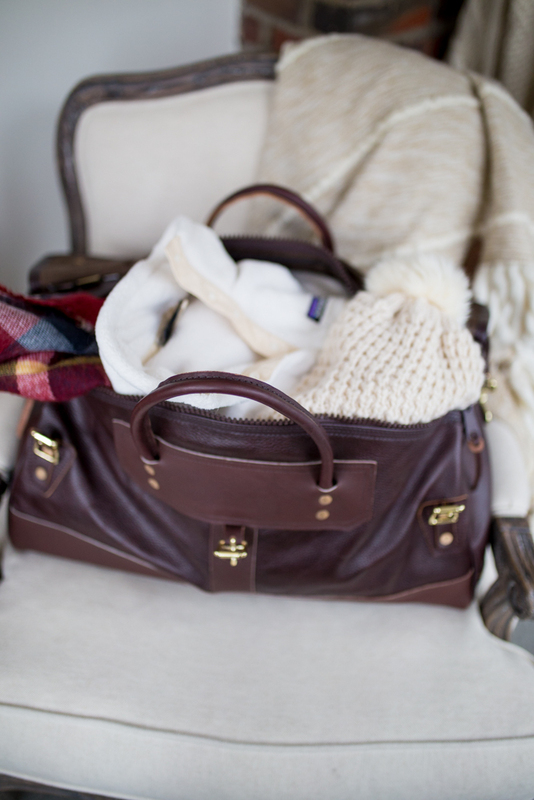 I originally got it for Armaan as a carry on for flights or a weekender for road trips, but I’ve actually been stealing it for weekend trips myself! 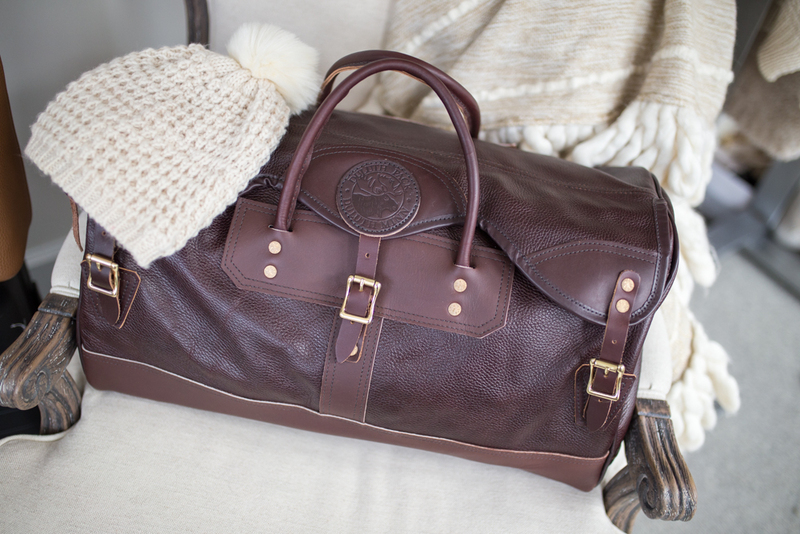 I love this duffel as a travel bag because it’s classic, sturdy, roomy and TSA sizing approved. I’ve had a few pieces from the Duluth and with each new piece I pick up the quality (it’s handmade in America!) never fails to amaze me. If you’re stumped at what to pick up for the guy in your life this Christmas, definitely check out Duluth! 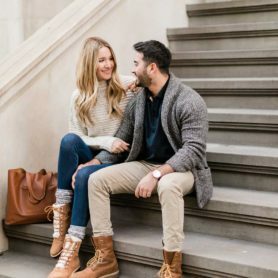 From travel duffels, to cosmetic kits to laptop cases you’ll be able to find something your guy loves. Use code EXPEDITIONS15 for 15% off your entire Duluth Pack order for the next two weeks! Whenever I travel and it’s a new climate experience for me, I make sure to really stock up on layers. Since it’s obviously cold and snowy in Deer Valley during this time of year plaids, pullovers and cable knits are at the top of my list. 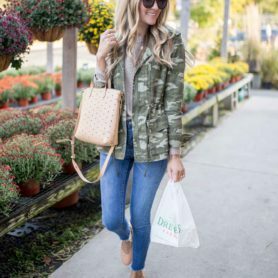 As well as tons of leggings! I order my leggings from a few different retailers, but I try to have both thicker and thinner pairs. 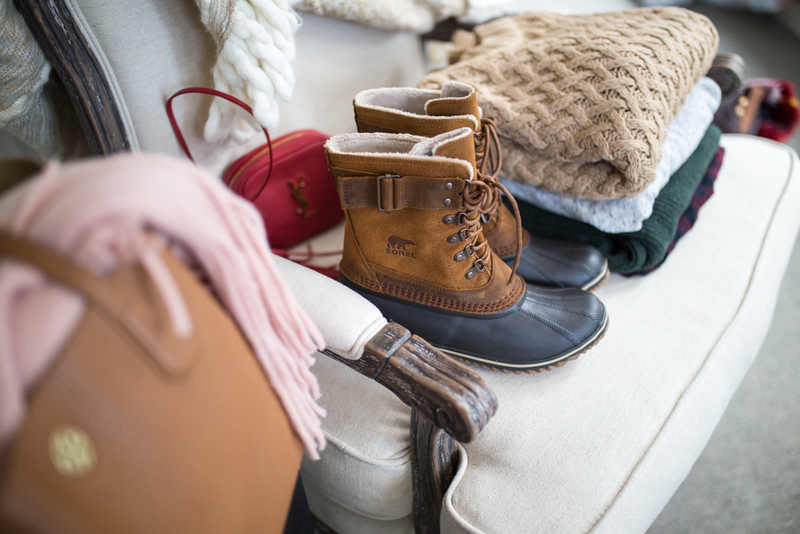 The thinner pairs I throw on under jeans to add an extra layer of warmth. I also ordered a new pair of winter boots to trek around in and I might have worn them the past two days (even though we have no snow) because they are so comfy! Armaan and I both try to stick to having one travel look, 3 pairs of shoes and up to a maximum of two looks per day when we are packing. After few hits and misses while traveling, one of my favorite tips to give is to have a zip pouch for everything. I like to get a bunch of different sizes (you can find them at Target, Amazon, etc.) then throw my undergarments in one, socks in another, bathing suits, tees, etc. 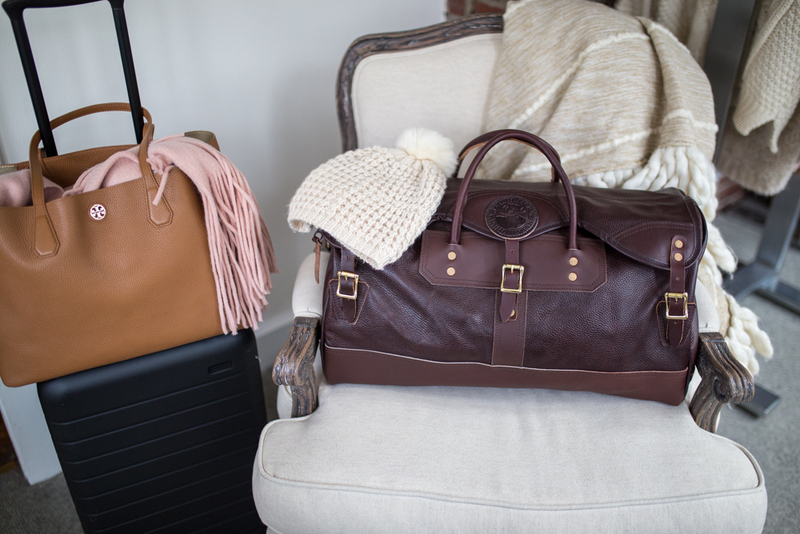 That way when I’m unpacking at my destination it’s easy to keep things organized and segregate everything! On to beauty! For my beauty products I generally keep them in a waterproof zip up case, but a lot of the time I find myself just throwing them in ziplock bags. It’s easy and foolproof! Recently the cold has been wrecking havoc on my skin, making it dry in some spots and oily in others. 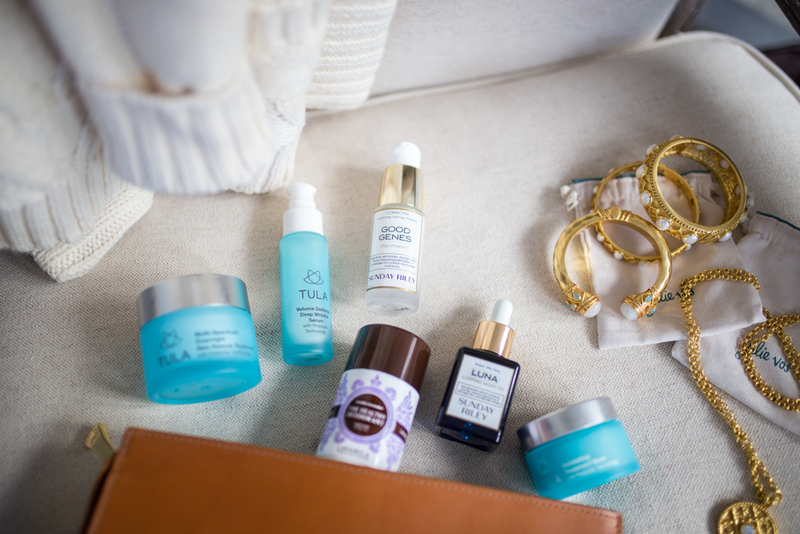 My favorite skincare brands that I use daily are TULA and Sunday Riley. 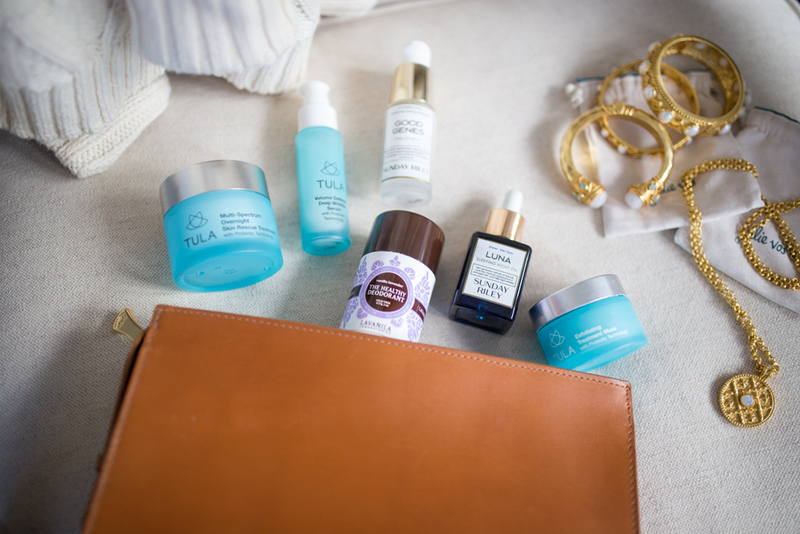 I alternate each product on different nights, but if you’re looking to try out either of them definitely pick up the Luna Night Oil + Good Genes from Sunday Riley and the Exfoliating Mask + Volume Defense Serum from TULA – all holy grails of mine!